Participants on “The Great American Family Drama” Please note the following. You will see that tutor, Chris White has recently withdrawn from the lineup. We are most fortunate and delighted to be in a position to have as a replacement the vastly experienced, John P Kelly who now resides in Canada. 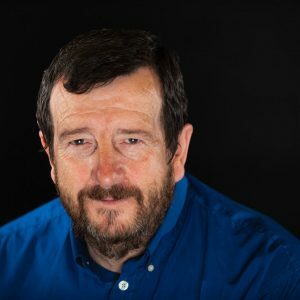 John has on many occasions, tutored at the Gormanston Drama Summer School and he is also well known for his adjudication work on the ADCI festival circuit including the RTÉ All Ireland Drama Festival, Athlone. Please note also, that while he will focus on the work of Tennessee Williams, Arthur Miller, David Mamet and others, he does not intend to include either August Osage County by Tracy Letts or A Lie of The Mind by Sam Shepard. His approach to the work will differ from that of Chris White. He will focus on text, facilitating an in-depth exploration of selected scenes through improvisations and the development of tried and tested techniques. This work is suitable for both newcomers and “old hands” alike and should prove a challenging and fun adventure.